Chrome can be a real memory hog Why Is Google Chrome Using So Much RAM? Here's How to Fix It Why Is Google Chrome Using So Much RAM? Here's How to Fix It Why does Google Chrome use so much RAM, especially compared to other browsers? What can you do to keep it in check? Read More , more so than any other browser. There are a few tips and tricks to keep in mind for managing Chrome so you can keep that memory usage at a minimum. You can stop background tabs 10 Hidden Chrome Settings You Should Change 10 Hidden Chrome Settings You Should Change There’s more to Chrome settings than the basic tweaks you made when you first set up your browser. Let’s see what that involves. 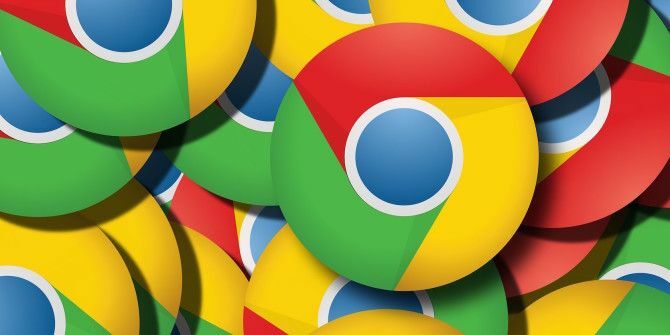 Read More from using up precious RAM, keep an eye out for RAM-hungry extensions 10 Annoying Chrome Issues and How to Fix Them 10 Annoying Chrome Issues and How to Fix Them If you are experiencing Chrome problems, you've come to the right place. In this article, we take a look at some of the most common flaws and provide guidance on how to fix them. Read More , or you can very easily identify specific tabs you have open that are contributing the most to Chrome’s memory usage. Like your Windows or Mac machines, Chrome has a task manager of its own. In it, you can view how much RAM each tab you have open is using, as well as each extension. To open up your Chrome Task Manager go to the menu > More Tools > Task Manager or you can use the keyboard shortcut Shift-Escape. You will see a list of all tabs open in Chrome, as well as all extensions you are running in your browser. Click on the memory column to make sure that they are sorted by memory usage, and you can instantly identify which tab or extension is using the most RAM. If Chrome is running particularly slowly, you can kill the tabs taking up the most memory. You can either manually close the tab, or from the Task Manager, click on the tab to select it, and click End Process. This will kill the tab, but won’t actually close it. Do you have any tips for keeping Chrome memory usage at a minimum? Let us know in the comments. Kind of ironic that while I had this page open to check the Chrome usage, it was the memory/CPU hog. Many tabs use much more CPU when they are the active tab (the one in focus in the chrome windows now). You can check that out for yourself with Shift-ESC. Just like Youtube streams video in the active tab and audio only in other inactive tabs (makes sense). At least this is what I think I see in Ubuntu/Linux, not sure about Windows or Mac. "You will see a list of all tabs open in Chrome"
Except that I don't. I have 33 tabs open right now, but Chrome's only showing me 18 processes. Do you know what could be causing this odd behavior? Chrome halts some tabs to save cpu power.